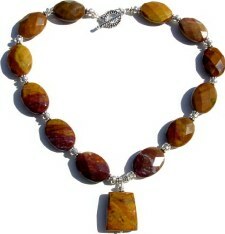 Featuring 23mm flat oval agate beads and Sterling Silver. Handcrafted one of a kind. Necklace is 18" long. Sterling Silver Toggle clasp.